In This Life Pty Ltd ACN 600 492 760 (“In This Life”, “us”, “we”, “our”) trading as ("In This Life Wellness Travel") provides an online facility for you to make reservations at a ("Property" - Wellness Resort, Hotel or Retreat) of your choice for your wellness experience. In This Life partners with a (“Hotel Supplier”) to provide availability, pricing, inventory, contracting and support. We act as an agent on behalf of the Properties and Hotel Supplier and are not directly responsible for contracting agreements. All reservations are subject to the following terms and conditions. Please read carefully and do not book unless you understand and agree with the terms and conditions. 1. Prices: All prices advertised are subject to availability and can be withdrawn or varied by the Hotel Supplier without notice. The price and availability is only guaranteed when a booking has been confirmed and payment is made. After payment is received, which is sufficient according to the Hotel Supplier to guarantee the price, price increases may occur by reason of factors outside its control, which result from an increase in the cost of the product or service. Such factors include adverse currency fluctuations, fuel surcharges and taxes. Additional taxes and surcharges may be requested and require by the "Property" at the time of check in or check out. We are not responsible or liable for these additional payments. Reservations: The amount and payment details for making a reservation will be notified to you when you are ready to make the reservation. The payment is to be made directly to our Hotel Supplier, although In This Life will be displayed as the merchant on statements. In This Life does not record details of credit cards or debit cards used to make payments to our Hotel Supplier. The payment made for the reservation is non-refundable. Deposit: You may be required to pay the deposit to the Hotel Supplier when making the booking. The deposit is non-refundable. Fees: In This Life Wellness Travel does not charge a standard booking, reservation or service fee however reserves the rights to do so, if a situation arises requiring additional, other than standard service such as a reservation requiring personalised travel agent service. In this case an administration fee from In This Life Wellness Travel, may be charged from AUD $33.00. Final Payment: You will be required to make the final payment as and when required by the Hotel Supplier. Any refund will be in accordance with the Hotel Supplier’s terms and conditions. It is your responsibility to pursue any refunds directly with the Hotel Supplier. Changes and Cancellations: The Property and or Hotel Supplier may charge cancellation fees, which can be up to 100% of the cost, regardless of whether or not travel has commenced. Fees and extra charges may be also be applied by the Hotel Supplier for changes to your reservation. It is your responsibility to ensure that the name on your reservation and booking matches the name on your passport before making payment. In This Life Wellness Travel does not charge a standard service fees for, cancellations or amendments/changes however reserves the rights to do so, if a situation arises requiring additional, other than standard service, where further administration assistance or customer service is required. In such cases we may charge a fee from AUD $110.00. Any refunds due from the Property or Hotel Supplier are credit back to you via the Hotel Supplier. We do not provide these refunds directly. The time frame of these refunds are not within our conrtol. 3. Disclaimer: The properties selected for our webstie have been chosen for their attributes in Wellness treatments, activities and programs. The information displayed about these Wellness Properties has been collated for your convenience from the property’s official website and hotel supplier’s information. Additional services including Wellness Treatments, Programs and Activities are not included in the room rates unless specified. This allows for complete flexibility with the ability to personalise your wellness experience. In This Life Wellness Travel can not guarantee any, treatments, programs or activities for availability or standard. Reservations for additional services must be booked and paid to the property direct either prior or during your stay. A special requests may be made to your property for a service, preference or amenity you may require for your stay. Your request will be passed onto the property however can only be guaranteed by the property at the time of checkin or by direct confirmation. 4. Travel Insurance: Travel Insurance is strongly recommended. It should be taken out when you pay the deposit. The travel insurance must be comprehensive and must cover accidents, injury, illness and death, medical and hospital expenses, including any related to pre-existing medical conditions, emergency repatriation (including helicopter rescue and air ambulance where applicable) and personal liability. It is recommended that the travel insurance covers loss of deposit, cancellation, curtailment and loss of personal property. The travel insurance is to cover the duration of the wellness experience, and the country or region. You must carry proof of travel insurance with you, and produce it if reasonably requested, to ensure you have access to it while you are away. 5. Agency: In This Life acts as an agent of a hotel supplier, which acts as an agent for the Properties (Hotels, Resorts or Retreats). In This Life Wellness Travel provides a wellness inventory from which you may choose your preferred Property. We have no responsibility for the bookings or the provision of the wellness experiences. All bookings are made directly through the Hotel Suppliers and are made subject to the terms and conditions and limitations of liability imposed by the Hotel Supplier, which are accessed via this link EAN Affiliate Program Agreement. 6. Liability waiver: To the fullest extent permitted by law, we do not accept any liability of whatever nature, whether in contract, tort or otherwise, for the acts, omissions or default, whether negligent or otherwise, of the hotel supplier or other third party providers (over whom we have no direct control). Under circumstances where liability cannot be excluded, such liability is limited to the value of the reservation fee paid to us. We do not accept any liability in contract, tort or otherwise for any injury, damage, loss (including consequential loss), delay, additional expense or inconvenience caused directly or indirectly by force majeure or any other event which is beyond our control and which is not preventable by reasonable diligence on our part. 7. Acceptance of responsibility: You acknowledge your wellness experience is not risk-free, and that risks are associated with the activities and the specific nature of your experience. You accept these risks and the possibility of personal injury, death, property damage or loss, which may result from your decision to participate in the wellness experience. 8. Special Requirements: Please communicate to your Property (Hotel, Resort or Retreat) any special requirements you may have for your wellness experience, such as special meal and accommodation requests. You may utilise the “Special Requests” section of your booking reservation to make any special request. Other "Special Requests" include Treatment, Activity or Program requests. You may send a "special request" to the Property via our message facility in your booking request. This message will be passed onto the Property through our Hotel Supplier, however is not guaranteed by In This Life Wellness Travel or our Hotel Supplier. To guarantee your "Special Request" we recommend communication directly with your Property (Hotel, Resort or Retreat). 9.  Treatments, Programs & Activities: In This Life Wellness Travel provides a comprehensive site with information regarding the Property's Wellness Treatments, Programs and Actitities. The information provided is obtained from the Propeties publicly accessable sites and we do not take responsibility for the suppliers service in any capacity, the withdrawal or alteration of any of these services. We do not make or accept reservations for the individual Treatments, Programs or Activities conducted by the Property. You may send a "special request" to the Property via our message facility in your bookign request. This message will be passed onto your Property through our Hotel Supplier, however is not guaranteed by In This Life Wellness Travel or our Hotel Supplier. To guarantee your preferred Treatments, Activities or Programs we recommend communicating directly with your Property (Hotel, Resort or Retreat) directly. 10. Customer Support. We provide access to a 24/7 serviced support centre in conjunction with our Hotel Supplier. This service is available to make changes to current reservations, cancallations and support in emergency situations. We will do our very best to ensure your experience is positive however we are not responsible for the customer service expereince directly, outcomes or terms and conditions implied by the Hotel Supplier or Properties rules and regulations. 11. Circumstances Beyond our Control. In This Life Wellness Travel is not liable for circumstances beyone our control. This includes injury, loss, accident, delay or irregularity arrising to you the customer or any third party. It also includes any rennovations at the property itself and its facilities or in and arround surrounding locations. 12. Your responsiblity. It is your reposbility to select a property that is suitable to your personal needs and requirements. We provide a comprehensive system for your to research, find and book your chosen property however do not accept any liability in inappropriate property selection. 13. Passports & Visas: All travellers must have a valid passport for international travel. Many countries require passport validity at least 6 months validity from the date of return. All expenditures incurred or inability to travel as a result of such documents not meeting requirements will be your sole responsibility. If you need information regarding visa and other travel document requirements for your travel visit www.smarttraveller.gov.au (Australian Travellers). If your country of origin is outside Australia please refer to your local government authority for travel and visa advice. If you are traveling to the United States please see https://esta.cbp.dhs.gov for information regarding pre-registration for their visa waiver program (ESTA). 14. Travel Advice: For travel advice and to register your travel, please visit www.smartraveller.gov.au (Australian Travellers). If your country of origin is outside Australia please refer to your local government authority for accurate advice. 15. Health: You must ensure that you are aware of any health requirements for your travel and ensure that you carry all necessary vaccination documentation. Please check with your local doctor or specialist travel vaccination clinic. 16. Travel Documents: Travel documents include (without limitation), hotel vouchers, tour vouchers or any other document (whether certain conditions and/or restrictions including (without limitation) being non-refundable, non-date- changeable and subject to cancellation and/or amendment fees. Travel documents cannot be transferred to another person to use. If a name is incorrect on a booking, this may result in an inability to use that booking and the booking being cancelled or amended. Any errors in names, dates and timings on your documentation will be your responsibility, if not advised at the time of booking. It is your responsibility to collect all travel documents from us prior to travel. You may not rely on any representations concerning the wellness experience unless contained in these Terms and Conditions. 19. Newsletters: Our promise to you is that we will not inundate you with our newsletters or emails. We will only send information when we have specials to share or information about Wellness Resort & Hotel or informative updates in the industry. By accepting our Terms and Conditions you accept to receive our Newsletter correspondence. You may unsubscribe at anytime via the link at the bottom of our emails. 20. Governing Law: If any dispute arises in relation to the reservations made or any other aspect of the agreement between you and us, the laws of South Australia, will apply. You irrevocably and unconditionally submit to the exclusive jurisdiction of the courts of South Australia, and waive any right that you may have to object to an action being brought in those courts. I/We acknowledge that I am/We are 18 years of age or older. I/We have read, understand and agree to these Terms and Conditions.